John McCarthy had never wrangled a mule. The former archaeologist had a rich, albeit conventional resume—working in New York as an interpretive exhibits designer, followed by stints as the director of a small living history museum, and a collections curator for a county museum. As John began looking for his next role, a ‘series of accidents, and then a leap of faith’ led him to the C&O Canal. Instead, John found himself in suspenders, moving canal boat tours around Georgetown. 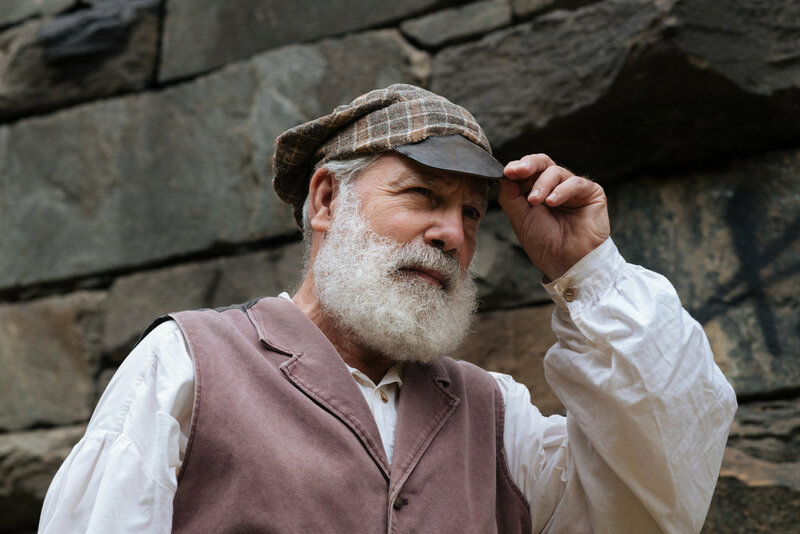 He knew a lot about the era in general, but studied the history of the C&O Canal as fast as he could—in addition to the five roles he was required to rotate through with his fellow crew members. So, too, did they behave differently depending on the mule. Before each tour, two of the hybrid animals were groomed at Great Falls and transported to Georgetown in a horse trailer, where they pulled the Canal boat from the towpath. Much like the crew, John says the mules all had unique personalities. The hour-long tours were tailored to the demographic—seniors and kids more easily amused than the rest. John fielded any and all questions, but the real story of the canal was one of westward expansion. In addition to serving as a walking encyclopedia, master storyteller, and myth debunk-er, John became a talented musician. He had a talent for singing, and soon picked up the concertina. On occasion, someone left…ahead of schedule. No serious accidents ever occurred, but John says cautionary tales were passed down from one generation of crew to the next. After 14 years in Georgetown, John led his last tour group in 2011 before the boat was unexpectedly decommissioned. 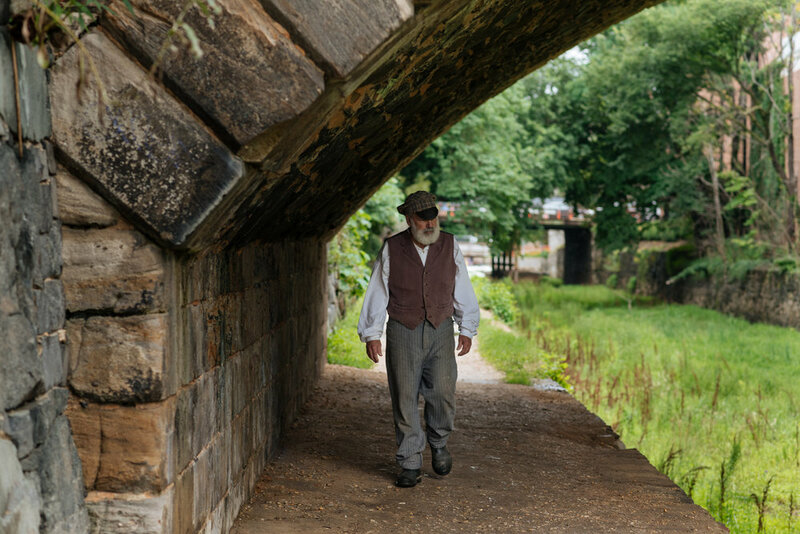 He retired after seven more years at Great Falls, but still leads walking tours in Georgetown, and plans to volunteer once a new boat is launched in 2020—part of a Canal revitalization led by Georgetown Heritage and the National Park Service. John felt fortunate his first time around. To return to this one-mile section of the C&O Canal would be all the sweeter.